Alan is a prominent and very experienced commercial silk, who was shortlisted for Commercial Litigation Silk of the Year Award at The Legal 500 UK Awards 2019. He is recommended by the legal directories as “a real star” for civil fraud as well as commercial dispute resolution, commercial chancery, insolvency and IT litigation. Regarded as “a brilliant all-rounder” who is truly “outstanding” and a “go to for high value briefs”, his areas of practice also cover arbitration, banking litigation and company law. 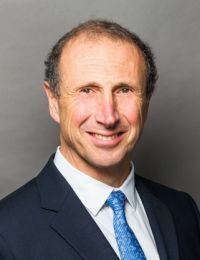 In addition to appearing/advising the English Courts, Alan also has considerable international experience in commercial disputes particularly in relation to international arbitration. Clients note “his intellectual agility and strong advocacy skills” as well as the fact that “he is very user-friendly and supportive”, “a real team player”. They also value the fact that he is “a very impressive cross-examiner who is completely on the ball and has all the facts at his fingertips”. He is regarded as “a really great advocate who is absolutely outstanding in court”. The legal directories note that he is a highly respected commercial counsel who is most adept at handling civil fraud matters and has further expertise in IT, company law and insolvency. The 2019 edition of Chambers & Partners describes Alan as “an unrivalled expert on contractual and commercial matters, who has an excellent brain and who gives clear legal advice”. “He’s tough and brave and willing to explore difficult avenues of argument.” He is also “phenomenal on his feet”, has a “second to none work ethic” and has “an excellent commercial mind set”. The 2019 edition of The Legal 500 says that Alan is “an excellent trial advocate and skilled cross-examiner, having him retained is a huge asset”. He is “extremely hardworking and approachable, and of great assistance in fraud cases“. An unrivalled expert on contractual and commercial matters.